Hector Berlioz. Very Good. In very good packaging. 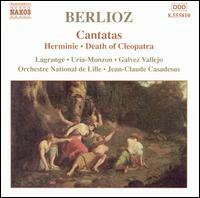 Berlioz: Cantatas-Herminie, Death of Cleopatra.